Lukashenka's popularity rises as the conflict in east Ukraine shows no signs of abating anytime soon. Belarus may stand to benefit from Russia's sanctions against EU agricultural goods, though the Belarusian government has agreed not to re-sell sanctioned EU goods to Russia. Belarusian scientists have bred a blue potato, with plans for pink and purple potatoes to follow in the near future. An 18 year old Belarusian took first place at an annual coding competition at Google, defeating an international group of competitors. Activists are gaining notoriety for a new petition aimed at stopping the opening of a new Russian-funded nuclear power plant in Belarus which they say could be the next Chernobyl. All of this and more in this edition of the Western Press Digest. Lukashenka’s Ratings Climb as Crisis Continues in Ukraine – The Guardian reports that the Belarusian head of state, who has ruled the former soviet republic for 20 years now, has seen his approval rating climb as weary Belarusians watch the ongoing conflict in Ukraine. The role of Russian media, a mainstay in most Belarusian households, has had a great deal of influence on the Belarusian public’s opinion about the EuroMaidan protests. According to a survey done by the Independent Institute for Socio-Economic and Political Studies, 63.2% of Belarusians do not support the movement and over half believe that the new government in Kyiv is a fascist regime. The absence of any independent media in Belarus limits Belarusians’ access to critical sources. Many Belarusians believe that Russian programming is superior to local Belarusian programming. As a result, public opinion, more oft than not, comes out in favour of the official Kremlin line. Lukashenka’s role as a stabilising force in Belarus lifted his personal approval rating up to 39.9%. At the same time, more and more Belarusians (54%) oppose forming a union with Russia, whereas a decade prior, a majority had favoured a union. Russia’s Ban on EU Goods and Belarus’ Role – Belarus and Kazakhstan have agreed to Russia’s demands that neither country will purchase and re-sell banned EU goods to Russia while the sanctions are in place. Belarus sees a silver lining in the newly applied sanctions and believes it stands to significantly increase its exports to Russia for a host of goods that will be subject to the sanctions. One Belarusian entrepreneur went on record saying that while a formal agreement was signed off on between the three governments, local traders will have little trouble getting goods of EU origin into Russia. One of the easiest ways to fool customs officials is to just change the goods’ paperwork so that it appears that Belarus is its country of origin. The success of these and other schemes will depend on, according to the entrepreneur, how interested Russia really is in keeping the goods from coming in. 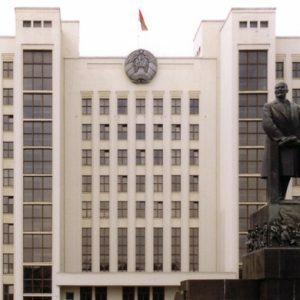 Pollute in Belarus, Lose Your Car and Other Oddities Under Lukashenka – Arbitrary rulings and laws are by no means a new development in Belarus, but a recent proclamation by the nation’s head of state has the West looking more than a little puzzled. In a recent blog on the Washington Post web site, Rick Noack takes a look at a few of the stranger ideas to be put forth by the Belarusian leader. Individuals who are found guilty of polluting the environment, according to the blog and the state-run BelTA news agency, may see punishments as harsh as having their personal vehicles confiscated for dumping trash in undesignated places. The author of the blog also references the infamous Swedish activist-fronted teddy bear drop and the oft-cited ban on clapping as evidence of the nature of the regime. While the teddy bear drop did humiliate Belarus’ air defence forces, the author implies that Lukashenka had a ban placed on teddy bears in the country as a result of the incident (editorial note: no such ban was ever put in place). Activists Fighting the Opening of the “Next Chernobyl” – Belarusian activists have gained the world’s attention recently with their petition against the opening of a nuclear power plant in Belarus. Activists have several grievances about the opening of the new power plant, stating that it has not received proper inspection and that the official assessments of the plant fall far short of international standards. Activist Tatyana Novikova not only opposed the opening of the plant, but to the use of nuclear energy in general, especially in Belarus, who suffered the most from the Chernobyl catastrophe. As a result of her outspoken views against the plant’s construction, her and her family has been subject to harassment. The plant, officially funded by Russia, would be a major source of energy for Belarus. The Belarus Free Theatre Still Making Waves in America – The activist theatre troupe, banned from performing in Belarus, has continued to gather the attention of critics and activists alike in the United States. Following a recent viewing of the documentary film Dangerous Acts, artist and author Marcia G. Yerman discusses the hardships the troupe has faced since the 2010 December election crackdowns. 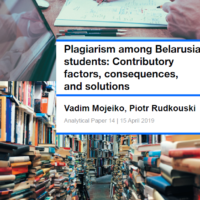 In her article, the author focuses on opposition candidate Andrei Sannikov and how his travails are symbolic for the larger repressive trends that have become commonplace against opposition figures and groups in Lukashenka’s Belarus. 18-year old Belarusian Wins Google Coding Contest – 26 competitors from all over the world came to Google’s LAX office to compete in the annual challenge, but a young Belarusian, Gennady Korotkevich, dashed the other programmers dreams of winning the competition. This was not the wunderkind’s first run in the competition which has approximately 20,000 programmers vying for the $15,000 prize. As a 17-year old, Korotkevich made it to the finals, but was not eligible to compete because he was under age. Belarusian Scientists Create Blue, Pink, and Purple Potatoes – A nine-year long potato cultivation project has finally come to an end in Belarus, and the results have been eye-opening. As one of the staples of Belarusian traditional cuisine, the new coloured potatoes are looking to boost potato consumption and be used in traditional potato dishes and snack foods. Devin Ackes is a project coordinator of the Ostrogorski Centre. He is an alumnus of Michigan State University and Columbia University. Earlier this month, Russia introduced a full embargo on imports of meat, fish, dairy, fruit and vegetables from the European Union (EU), United States, Australia, Canada and Norway. Moscow sought to retaliate for the sanctions imposed by the West following the downing of the Malaysian Airlines flight over Eastern Ukraine in July. The food ban went into effect immediately. Belarus, itself no stranger to Western sanctions, took the news in stride, promising to increase Belarusian food exports to Russia. Whether the food embargo indeed holds substantial economic opportunities for Belarus, however, is not clear, especially if Russia will be able to fully monitor Belarus’ exports and re-exports. Russia has already accused Belarus of lacking capacity to monitor exports, reportedly identifying 11 violations at the Russian-Belarusian border last week. Even if it does, the benefits for the Belarusian economy in the short run may be outweighed by negative impacts in the long run. Sustained sanctions will eventually produce an economic downturn in Russia that will also ripple through the Belarusian economy. Last year, Russia imported $15.8 billion worth of agricultural products from the EU, as well as $1.3 billion worth of foodstuffs from the US. Following the recent imposition of sanctions, Western media reported that truckloads of fruit had been detained at the Russian border and left to rot. Reacting to the panic of Greek farmers, who were hit hardest by the embargo, the EU commission promised to compensate peach and nectarine growers. Farmers and producers in non-EU states like Belarus are much more cheerful. They view the embargo as a lucrative opportunity to boost exports to Russia. But how exactly is Minsk going to benefit? On August 11, President Lukashenka said that Belarus, which enjoys a customs-free zone and shares a long border with Russia, would fulfil all obligations to protect the market of the union state as regards the transit of goods across its territory. He also promised to increase food exports to Russia. At the same time, Lukashenka did not follow Russia’s ban. Neither did the third member of the customs union – Kazakhstan. Despite Belarus’s promises, the opportunities for increasing food exports to Russia without violating the embargo are highly constrained in the short run. Belarus cannot breed more cows or grow more potatoes overnight. Therefore, any immediate increases of food exports to Russia, short of flaunting the embargo by simply relabeling European products, will lead to the disappearance of produce in the domestic market. Belarus’ reaction to the Russian-Georgian war provides a blueprint that can be followed this time as well. Back in 2008, Georgian wine and mineral water easily found their way into Russia via Belarus. Russia chose to look the other way because it needed allies. Whether Belarus will cash in on the embargo depends primarily on Russia’s willingness to monitor and enforce food exports from Belarus. A quick look at the long list of Belarusian food exports shows just how difficult it is to shut down the flow of Western food into Russia without undermining Russia’s trade relationship with Belarus. Data from Belstat, for example, shows that, from January to May of this year, Belarus exported 11,921 tons of citrus fruit, 149.9 tons of Atlantic Salmon, and 304 tons of bananas into Russia. Even greater quantities of Western produce are exported to Russia after being processed in Belarus. The Belarusian firm Santa-Bremor, owned by the oligarch and Lukashenka confidante Aleksandr Moshensky, is a poignant example. The company sells all of its products under the “made in Belarus” label. However, its products contain salmon, caviar, and seafood, which cannot be found in landlocked Belarus. Belarusian media recently reported that Santa-Bremor increased its exports to Russia by 30% over the past week alone. Belarus is also home to a number of fruit and vegetable processing plants, which rely on Western produce and sell the finished products to Russia. Allowing these companies to continue exports technically violates the embargo. But exports continue under the “made in Belarus” label, in part because Russia knows that prohibiting such exports would hurt the Belarusian economy and crack the foundations of the Customs Union. Recognizing that a number of vehicles with perishable projects were stuck at the Belarusian border, Lukashenka has already proposed that products banned from entering the Russian market be sent to Belarusian processing facilities. On August 20, Belarus cancelled ban on live cattle from the EU, which may be a sign that it hopes to increase re-exports of meat to Russia. Officially, however, the ban was scrapped due to lower concern over Schmallenberg virus. Because the Russian-Belarusian border can be crossed without customs checks, Western products can reach Russia via many other routes. In fact, thousands of Russians may simply choose to go shopping in Belarus more often. Reacting to the likely increases in domestic food prices, Belarusians, in turn, may increase their shopping trips to Poland, where food is already cheaper than in Belarus. How far will Russia go to Enforce the Embargo? Circumventing Economic Customs Union rules when they hurt the national interest seems to be a recurring pattern in Belarus’s behaviour. Last year, Russia failed to secure Belarus’ and Kazakhstan’s support in imposing restrictions on Ukrainian goods in the even that Kiev would sign the Association Agreement. Russia raised the issue again in June at the meeting of the Eurasian Economic Commission but its proposal, to no avail. Thus, Belarus was able to insulate itself from the economic consequences of Russia’s trade war with Ukraine and may even benefit from re-exporting not only Western, but also Ukrainian goods to Russia. Moscow certainly has enough power to pressure Belarus into compliance. However, it seems reluctant to do so at the time when its influence in the post-Soviet space is threatened and Belarus is a valuable ally. Early signals from Russia indicate that it is not ready to look the other way. Just this week, Russia’s Federal Service for veterinary and phytosanitary control (Rosselhoznadzor) has said Belarus was unable to control exports of prohibited foodstuffs to Russia. According to Rosselhoznadzor, Minsk’s failure to control exports “threatens Russia’s food security”. According to UNIAN, the Russian side identified 11 violations of the ban by Belarus between 11 August and 15 August alone. Tellingly, however, Moscow did not blame Belarus directly. Rosselhoznadzor’s official statement has placed the responsibility on the EU – for not labeling the products correctly. It decided to warn Belarus rather than criticize its directly. The deterioration of Moscow’s relationship with the West has contradictory consequences for Belarus’ economy. In the short term, the conflict has opened new export opportunities for Belarus. Over time, though, Belarus’ economic dependence on its larger neighbour means that Moscow’s economic problems sooner or later will ripple through the Belarusian economy. The Russian stock market and the rouble have already fallen, and Russia's growth forecasts for the year look bleak. Belarus may feel the effects of Moscow’s economic downturn in the not-so-distant future. Russia’s economic problems could, for example, weaken the Belarusian machine-building industry. Large export-oriented plants in this sector, such as the Minsk automobile plant, stand to lose a lot of money if Russia’s demand slows. The Belarusian financial sector is also vulnerable. Four Russian state-owned banks that are targeted by Western sanctions — Sberbank, Vnesheconombank (VEB), Gazprombank, and VTB Bank — all have operations in Belarus.